White noise has been scientifically proven to induce sleep faster in newborns within just 5 minutes. 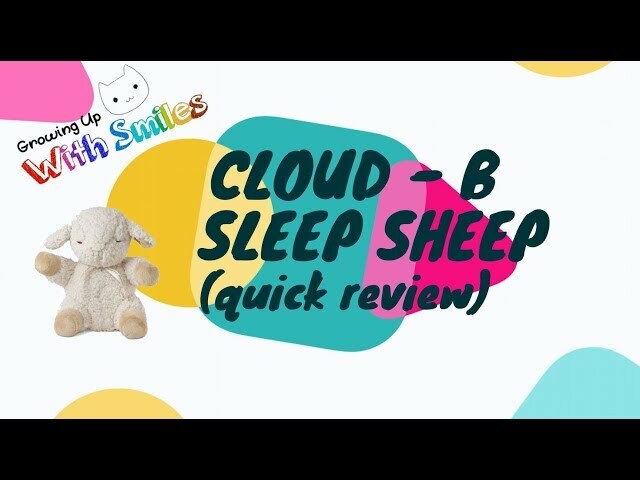 That’s why Cloud B made the Sleep Sheep Sound Soother: to help you and your baby sleep better at night and during naps. 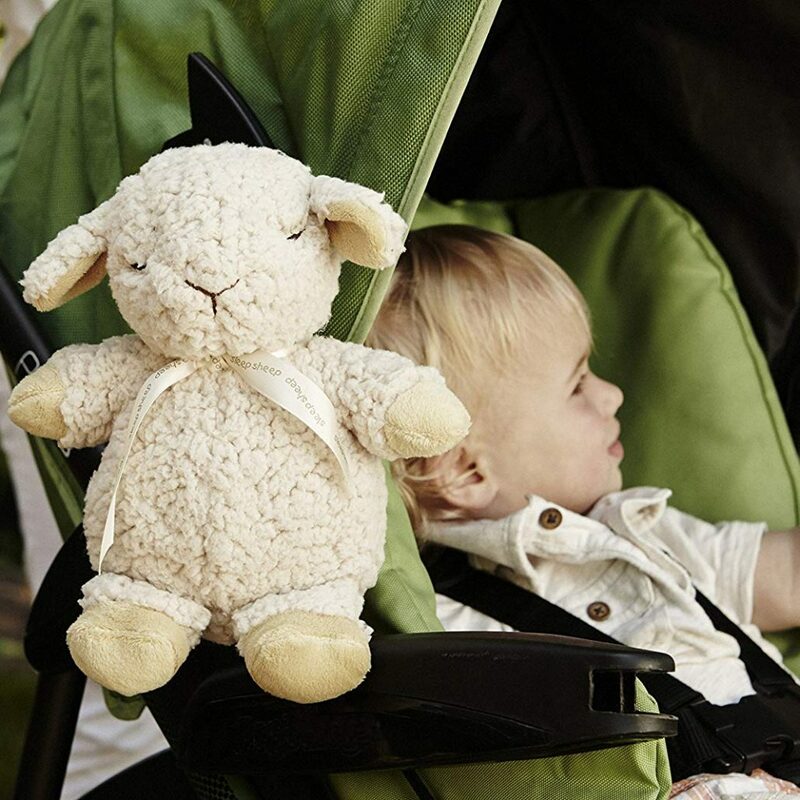 Sleep Sheep has a removable sound machine in the back so it works as both a dream machine and a cute stuffed toy. The sound machine plays 1 of 8 sounds to lull your baby to sleep: Mother’s Heartbeat, Rain, Surf, Whale Song or 4 classic lullabies. 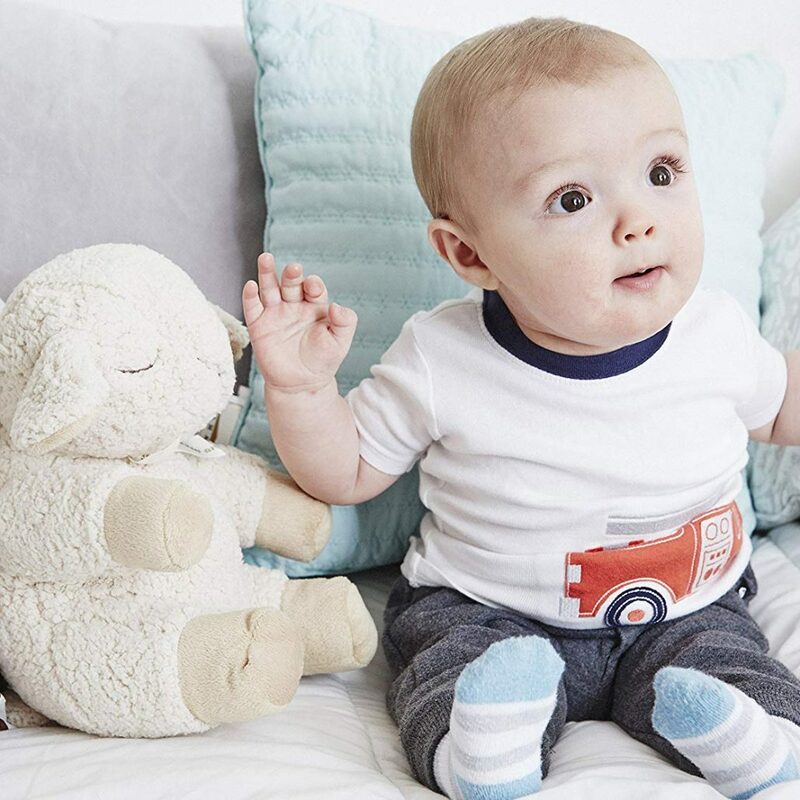 Keeping the safety of your baby’s ears in mind, audio volume was designed to reach below recommended maximum sound levels. On the sound machine, you’ll find two power-saving sleep timer options, automatically shutting off after 23 or 45 minutes of play. Also included is an on/off switch and a volume dial knob. 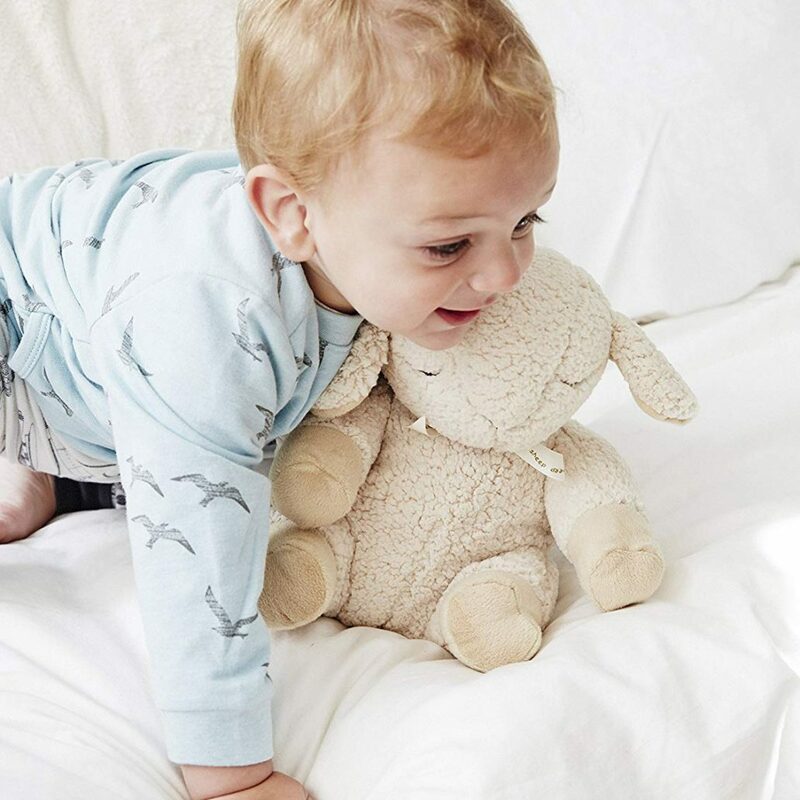 Made to exceed safety standards, Sleep Sheep is free of phthalates, latex, lead and BPA. It’s battery operated with 2 AA batteries which are included. 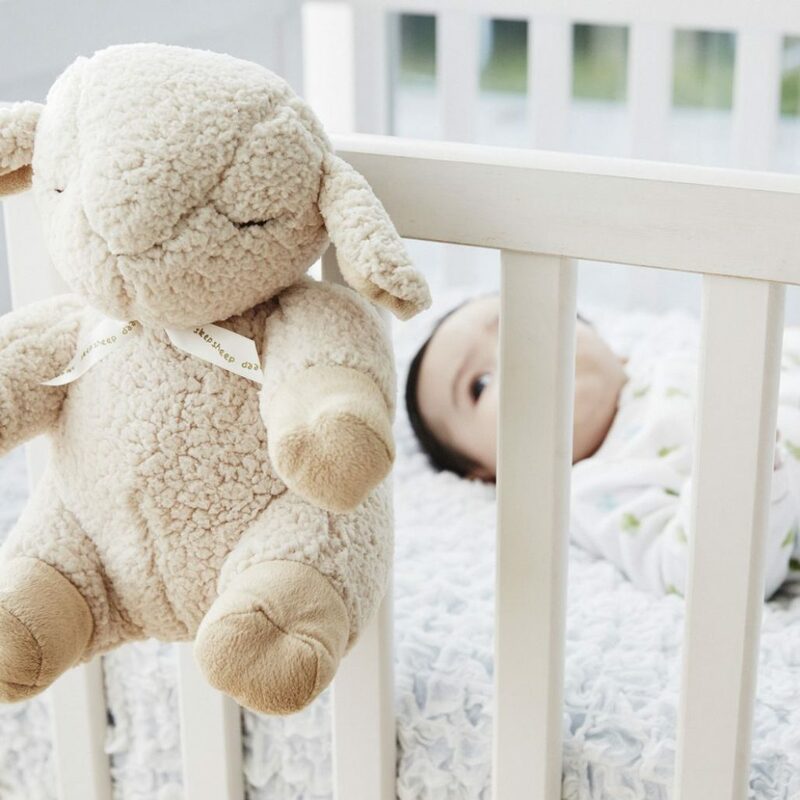 Sleep Sheep also has a built-in Velcro tab so you can easily secure him to the rail of baby’s crib. When purchasing, you get the option of buying Sleep Sheep or the adorable Peaceful Panda.